To my knowledge adding Roof Track Rails on an early Sprinter (-2006) was never an option from the factory. If you have a newer model (2007 on) you can add factory style rails if your van didn’t come with them. I had to start from scratch and scanned through a few options to add a roof rack, like systems that are mounted on the rain gutters. At the end I’ve decided that I want the additional flexibility that comes with rack tracks since they are basically just rails where you slide in whatever you need to attach to the roof. There are very expensive options from the main manufacturers of roof rack systems but I’ve found a company that sells generic track rails in various sizes: ProLine Racks. You can order them as small as 36″ and up to 78″ long. 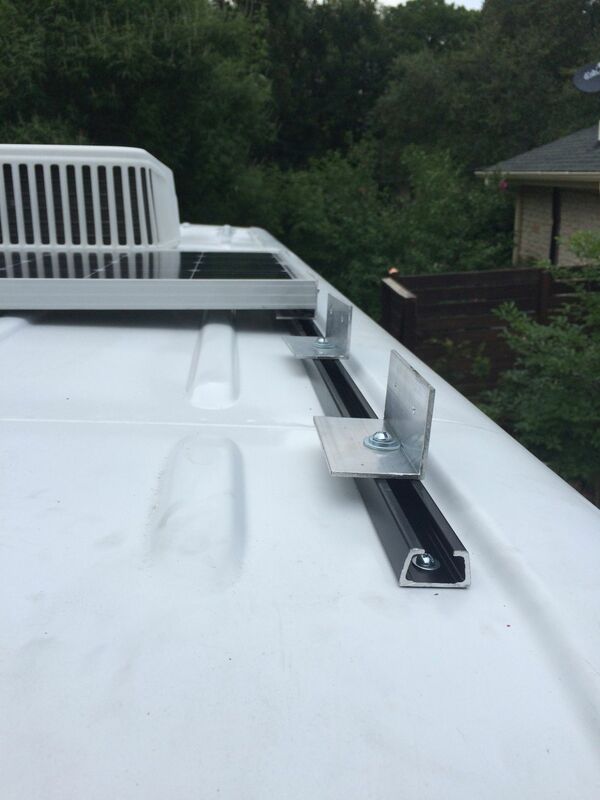 For the flat roof of a Sprinter you need the flat rails – ProLine sells also bowed tracks that fit curved roofs. The system itself is compatible to both Yakima and Thule with an additional fit kit that you can order from ProLine as well. 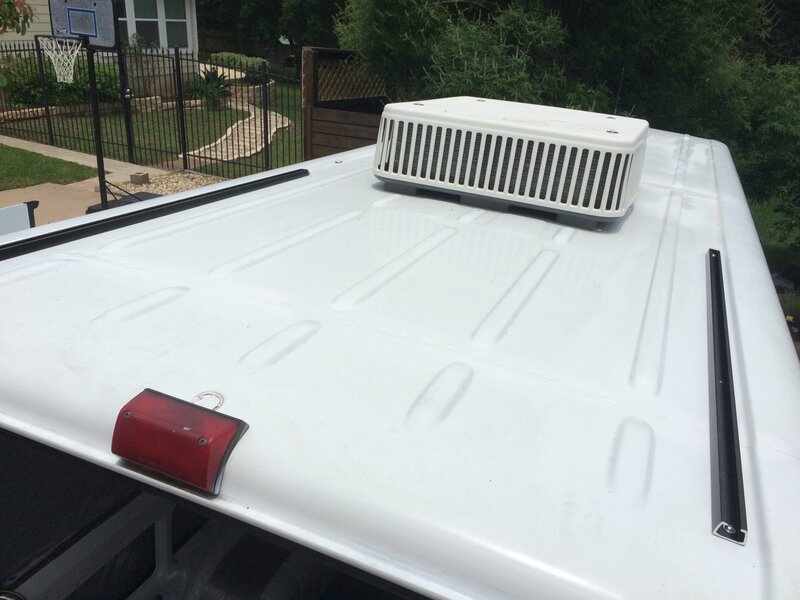 Installation is easy: dry fit the rails on the roof. If you already have accessories that you want to mount on the roof, install them on the racks so that you know where to place them. Once you know the exact location of the rails make sure that the holes you’re about to drill from the outside won’t be in a bad location (e.g. on top of the structural beams). ProLine adds some self sealing screws to the rails but I’ve used bolts with a nylon nut to be sure that the whole assembly stays on the roof. The main reason for me to add roof rails was to have a good foundation for my solar panel install – here’s a picture of the first panel installed. 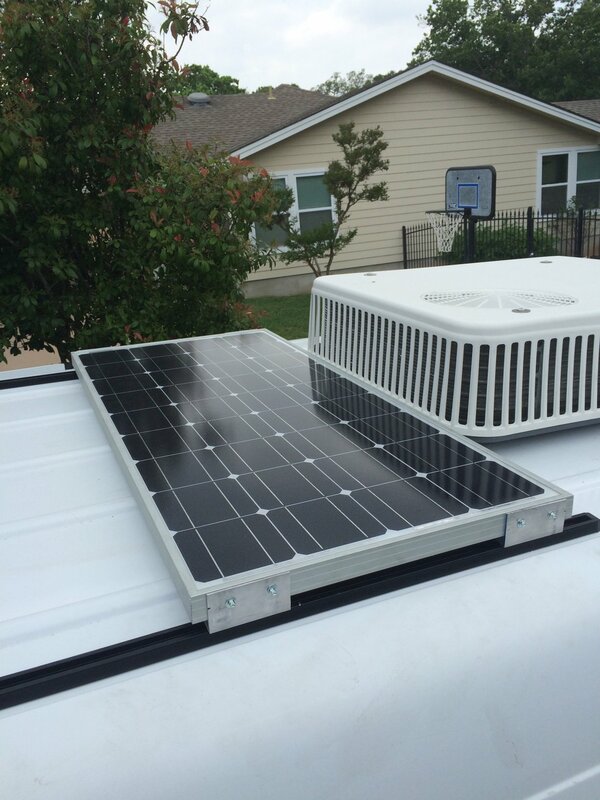 The brackets that hold the solar panels in place are made from an aluminum L profile. To hold the brackets in place on the rails I used the sliding piece from a couple of tie downs I’ve ordered from ProLine with the rails. 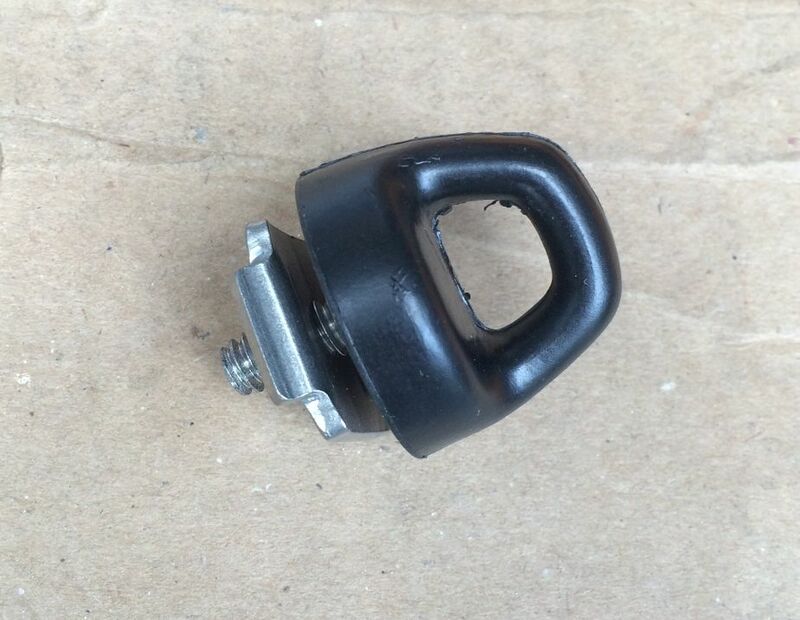 Attach this piece to the aluminum bracket with a matching screw and a washer and you can slide the bracket into place on the rail and then screw it tight before you install the solar panel on the bracket. I pretty much covered the full length of the Sprinter with two sets of rails: a set of 48″ and a second set of 66″. depending on your needs: Yakima or Thule fit kits which make these tracks compatible to Yakima Control Towers or Thule Tracker II feet. Hey there, I was inspired by your post and ended up deciding to go the same route. Now that I have the proline roof rails and my solar panels I’ve realized I have no idea how you attached the brackets to the rails. Would you mind explaining the parts you used/process? Tried to zoom in to see on your photo but can only see that you have screws going through the vertical face of the bracket into the panel. Thanks for all the resources you’ve put out specific to the t1n! I’ve updated the post with two pictures – I hope that helps you to figure out how to mount the solar panels on the roof racks. Finally, I have a reasonable solution for installing mine now. Thank you so much for doing this write up…and the photos. I have a couple questions- how many holes did you have to put in the roof for your 66″ rails? I’m assuming it’ll be a similar amount to the 60″ version. Also, what does it look like on the inside of the roof? My concern is that I’ll be adding a thin carpet to the interior of my fiberglass high roof and I can’t have anything too large under the carpet. However, the wood I’ll be mounting to is about 2 inches deep I believe.